Are There Any Risks Associated With Paraben? 1 Are There Any Risks Associated With Paraben? 4 How Are Perfumes Tested on Animals? According to the Environmental Working Group (EWG), “80 percent of all products may be contaminated with one or more of the two dozen recognized cosmetic impurities that are linked to cancer and other health concerns.” Twenty percent of adults, EWG reports, are potentially exposed to carcinogenic impurities in personal-care products. 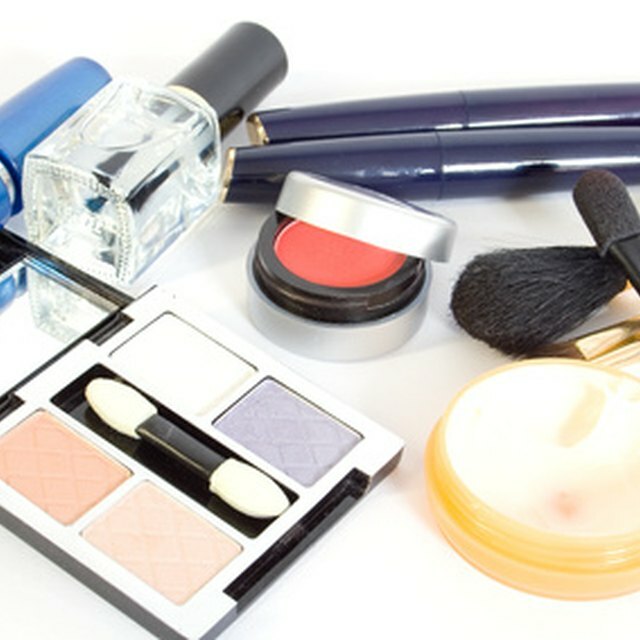 Because the U.S. Food and Drug Administration does not require safety testing of cosmetics, consumers need to know what is in their skin-care products and whether they’re safe. Parabens have been used for at least two decades as preservatives in cosmetics. They keep these products safe by helping to prevent the growth of disease-causing microbes. Since 2004, reports have circulated insinuating that parabens are a major cause of breast cancer, thanks to a study published in the "Journal of Applied Toxicology" that found the preservatives in 18 out of 20 breast tumors. But further investigation shows no definitive proof of danger. Though it’s still important to consider parabens a potential cancer risk and more studies need to be done, experts such as Dr. Phillipa Darbre, who authored the study, suggest avoiding products containing parabens until their safety can be determined. Diethanolamine (DEA) is used as a foaming agent in body wash and gels. In 2006, the University of North Carolina at Chapel Hill reported that DEA inhibited cell growth and caused cell death in an area of the brain responsible for memory. If you have any products containing DEA, however, don’t be alarmed. Lead study author Dr. Steven Zeisel indicates, "At this point, it is a caution.” It’s not a bad idea to limit exposure, though. Fragrances are added to cold creams, cleansing and aftershave lotions, and dozens of other skincare products. The truth is that federal law does not require the cosmetic industry to list the chemicals used in the fragrances in their products, which could contain hundreds of chemicals in a single mixture. EWG’s report on cosmetic safety indicates that fragrances are a known immune system poison, and there’s moderate evidence of potential brain or nervous system damage. Phthalates are commonly found in skin moisturizers. Used for their softening and flexibility-inducing properties, they’re low-cost materials that can be used in a variety of products. According to the Breast Cancer Fund’s Chemical Fact Sheet, high levels have been detected in the urine of children of ages 6 to 11 and in women. In rat studies, phthalates have been shown to interfere with hormone production and could play a role in breast cancer development.